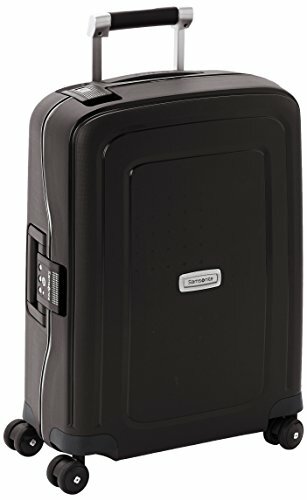 I travel a lot for work, and the previous hand luggage suitcase gave away after two years of work, so I needed a new one. 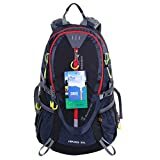 This time though I decided to buy on a budget and see whether I can find something that is practical and still reasonably durable and reliable. 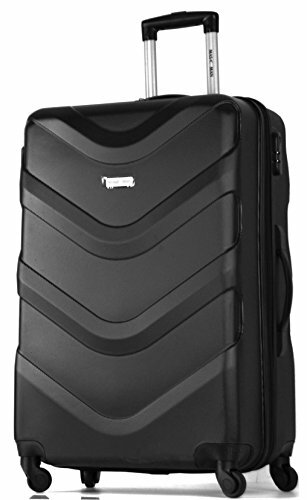 This Aerolite suitcase easily covered those criteria. 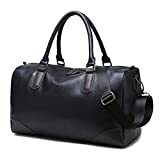 The suitcase offers a lot of storage space, neatly organized within 3 separate compartments, with a black exterior and contrasting white/cream interior. The design is solid, and the quality more than what I expected for the price. The fabric is durable and easy to clean, and each feature is reliable enough so the thought of something giving up never crosses your mind. 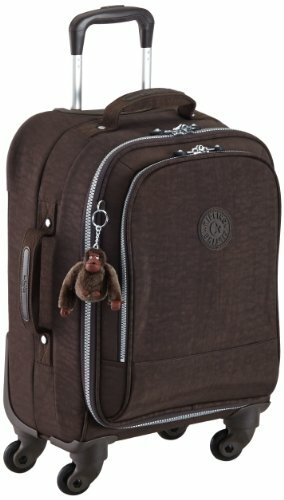 This includes the zip, the handle, and of course the wheel set. 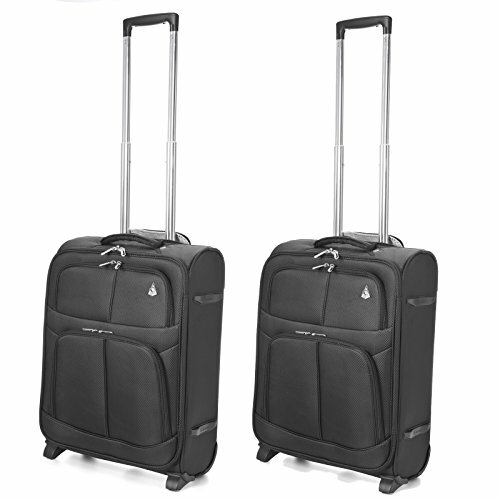 I love that they’ve also included two fixated plastic legs, to hold the suitcase balanced when you leave it to rest. Two legs are included on the side as well, so you can leave it on the floor in the other direction too. The inside features two strips to fasten your wardrobe and items, and the cover has a net pocket, on the inside, with a zip. It is very practical, and I cannot imagine not having one. 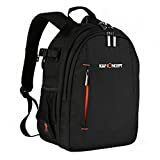 The suitcase is affordable, first and foremost, and includes a lot of features which make it super practical for frequent use, especially when you have to travel a lot. It doesn’t look cheap at all, but rather stylish and elegant. 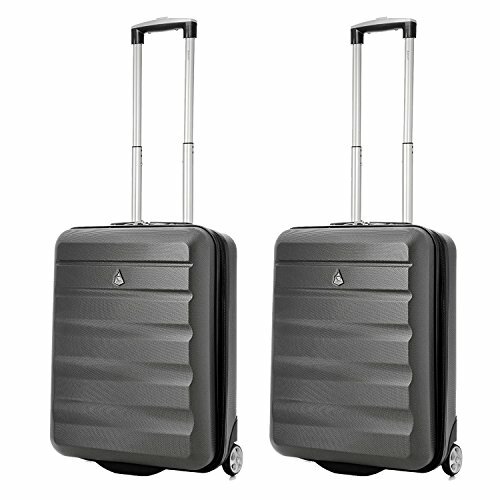 The Aerolite lightweight travel carry on hand cabin suitcase with wheels is also very durable with reliable and premium quality parts (such as the wheel mechanism and handle). 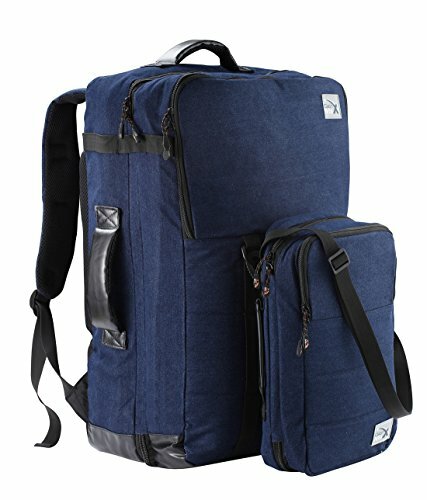 The design is compact and makes it look sturdy and more expensive than it actually is. 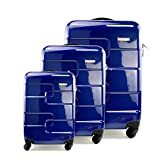 With over 80 reviews on Amazon this Aerolite lightweight travel carry on hand cabin suitcase with wheels is among the better picks within the hand luggage category, and especially within this price range. 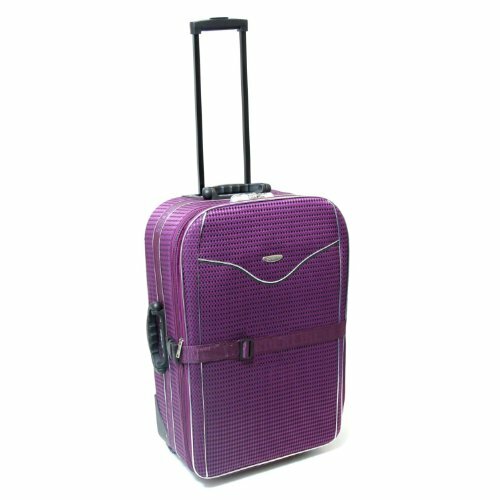 Don’t hesitate to order one of these if you need a quality and reliable suitcase, that also looks well, on a budget.